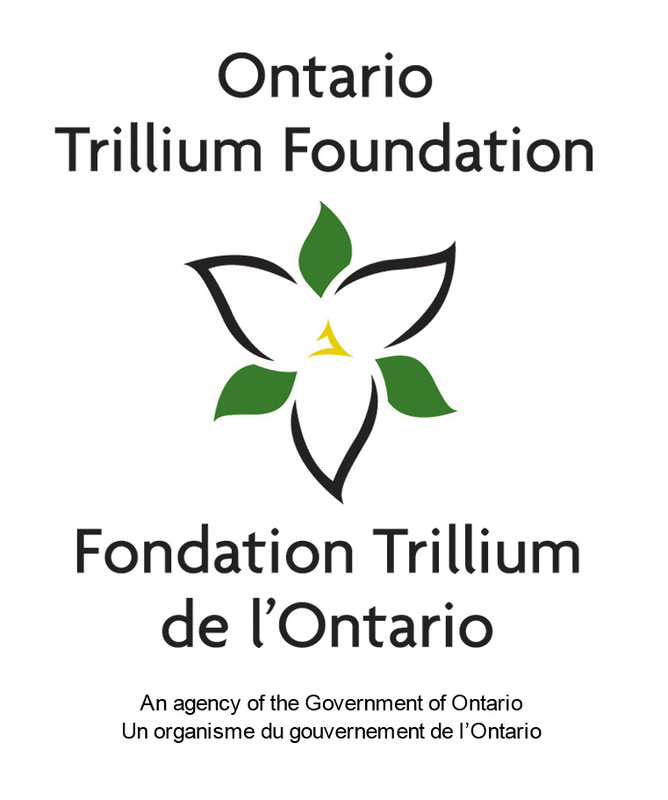 We held our annual Operations Day last Saturday (April 23rd) and it was, as always, a very busy but educational and informative day. The primary focus of the day is to get everyone up to speed for the year and to be ready to hit the ground running knowing that our vessel will be in service and ready for callouts by the end of the day. It’s an opportunity for the returning members to get back onto PARU and not only re-familiarize themselves but to also take a look at any new changes or tweaks made over the winter. It’s also the first chance for new members to climb onboard PARU and get a real sense of what they have “signed up” for. The day started out with a review of everyone’s information in our member system, just to ensure its up-to-date. We also took time for a quick picture of each member which was then uploaded on the spot so it’s easy for everyone to put faces to names. It was then down to business as all members were welcomed to the 2016 Ops Day and were given a quick outline of the agenda. With everyone gathered together we also took the opportunity to review some important safety procedures for the upcoming season. An exciting moment this year was the announcement that PARU will be docking over on the “spit” which is just inside the entrance to Frenchman’s Bay. This new location is closer to the lake and will allow us to decrease the time it takes us to get out of the Bay and en route to the vessel/person who needs our assistance. It was a great way to kick things off. After the opening session we all walked down to the dock and gathered on and around the vessel for our annual picture. As you may notice we didn’t all fit on PARU but did manage to get everyone into the picture. Operating Procedures which looked at our current and new procedures and where all the forms can be located on the vessel. Some exciting new things this year included a review of our Zello channel and our new Ports guide which a group of members have created to help crews know what to expect, which services are available, and where they are in the harbour when towing a vessel or bringing someone in to one of our local ports. Vessel Roles and Responsibilities which looked at the 3 or 4 key requirements each role on the vessel is responsible for as well as looking at the importance of team dynamics. One of the new guides some of our members are working on is a quick reference SAR tasking guide to help refresh the crews of the key steps to follow during a tasking. 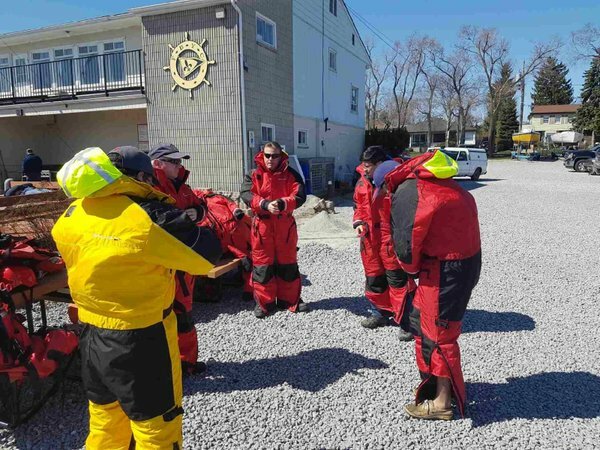 Safety Equipment and Gear which gave the members a chance to try on the new floater suits as well as familiarize themselves with equipment requirements both personal and on-board. 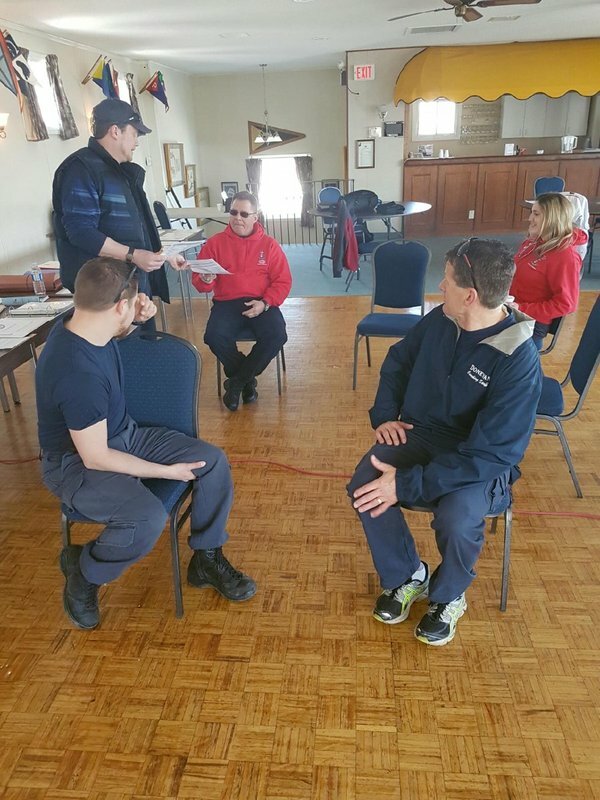 Communications which stressed the importance of crew communications and how to do so in a professional and organized manner, a must in any SAR situation. They also looked at communicating with our SAR partners at Prescott and Fire. 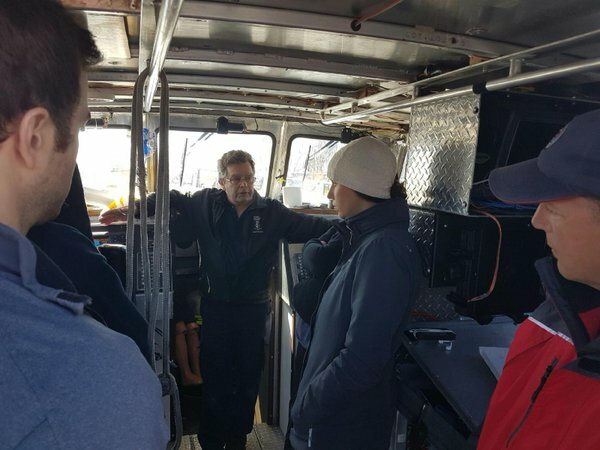 PARU Familiarization and New Equipment which took the members onto the vessel and gave them an opportunity to see it either for the first time or as a refresher. It was also a chance to highlight the few new features installed over the winter. Our day ended with an enjoyable BBQ. It was a great day and now we are ready to do what we all love to do and help those in need!